Every day, Ghanaians discuss the issue of corruption on radios, on televisions and on various media nets. Corruption allegations are levelled against some few individuals. Meanwhile, corruption is widespread in the whole country. It is a national disaster. So, what is corruption? Who is corrupt? No one! Yet, Ghana ranks low on the anti-corruption index. “The lower-ranked countries in our index are plagued by untrustworthy and badly functioning public institutions like the police and judiciary. Even where anti-corruption laws are on the books, in practice they're often skirted or ignored. People frequently face situations of bribery and extortion” (Transparency International). 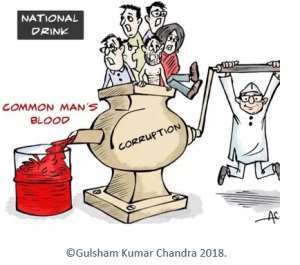 Grand corruption is the high level corruption tagged to a government that distorts policies or the state functions, enabling the leaders to benefit at the expense of the public. Political corruption is well understood in Ghana as create, loot and share since we do not have a power-obsessed president who consolidates his grip on power by obstructing or eliminating his opponents as Paul Biya of Cameroon, Yoweri Museveni of Uganda and Paul Kagame of Rwanda. According to the chairman of TI, in many countries, “people are deprived of their most basic needs and go to bed hungry every night because of corruption, while the powerful and corrupt enjoy lavish lifestyles with impunity.”, José Ugaz, Chair of Transparency International. In Ghana, the biggest arm of corruption is the petty corruption and this is where all government workers, self-employed or entrepreneurs fit. Some teachers, doctors, lawyers, rectors, Business men and women, drivers, market women and institutions like hospital, Electricity Corporation of Ghana (ECG), Ports and Habours Authority, Customs etc. fall in this category. Accept that you are corrupt if you dishonestly use your power or position for personal gain. Accept that you are corrupt if you receive bribes, or inflate prices or make life harder for the common people. 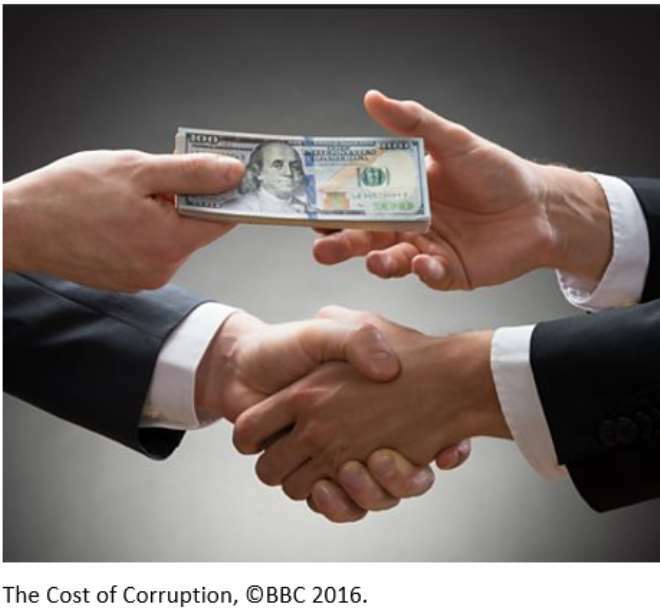 Transparency International, definition of corruption [Online] Retrieved from https://www.transparency.org/what-is-corruption#define [Accessed 23.3.2019].